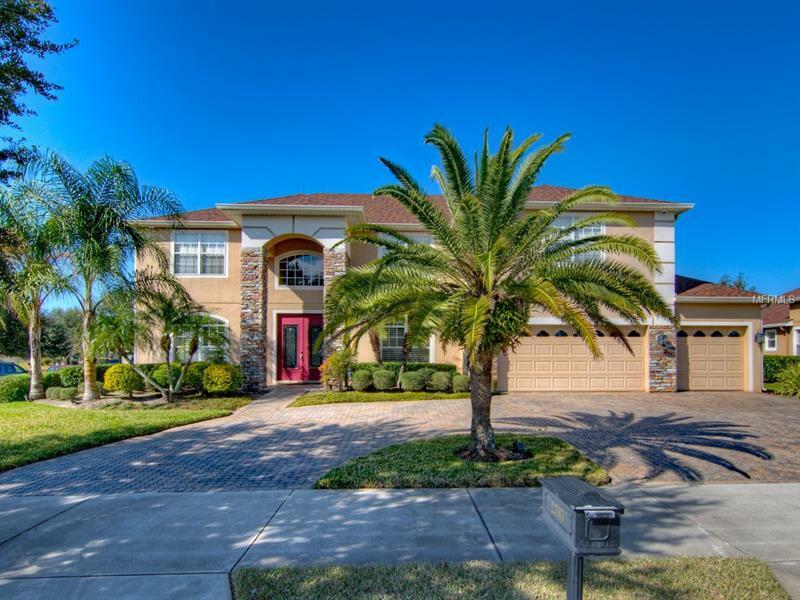 This well appointed, stately home is in Oviedo's much sought after Live Oak Community and is immaculately move-in ready! From the moment you drive up to this executive home, you will be impressed by the circular driveway and curb appeal. As you enter through the front double doors, your eyes will be immediately drawn to the grand entry and high ceilings. To your left is a formal living room and to the right is a formal dining room. Continue back into the spacious family room which opens up directly to the kitchen and dinette area. Granite countertops, wood cabinetry and stainless steel appliances make this the kitchen of your dreams! On the first floor you will also find two bedrooms as well as 1 1/2 bathrooms. Sliding doors open out to your resort-style back lanai where you'll enjoy a summer kitchen, a beautiful pool and there's plenty of room for entertaining - a place to truly enjoy the Florida lifestyle you've always wanted. Back inside, the beautiful staircase takes you up to the second level where you will be pleasantly surprised to find a generously sized loft area, a bonus room, 3 bedrooms as well as a spacious master suite. In the master suite there are two walk-in closets and a master bathroom with dual sinks, a garden tub and a separate shower. Some of the recent upgrades include: A/C 2018, Roof 2015, Pavers re-sealed 2018, and more! Don't let this impressive home pass you by. Click on the virtual tour and then schedule your private showing today!